Hong Kong is one of the most visited cities in Asia, and for good reason: Hong Kong’s dramatic skyline along the beautiful harbor alone is a good reason to visit. You’ll find lots of shopping, cultural events and great food. Read my mini-guide to Hong Kong to find out why you should go, where to stay in Hong Kong and the top things to do! All you need to know on one page and in less than 5 minutes! 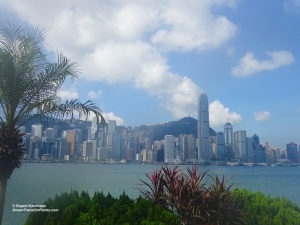 Why you should go: Hong Kong is one of the easiest cities to visit in Asia, with great flight connections to anywhere in the world, English widely spoken, great public transport and a solid tourist infrastructure all around! And just like San Francisco or Sydney, Hong Kong benefits from a fantastic location: Set on Hong Kong island and the Kowloon peninsula, you’ll get stunning views of the island skyline from the Kowloon waterfront as well as from Victoria Peak over the whole city! 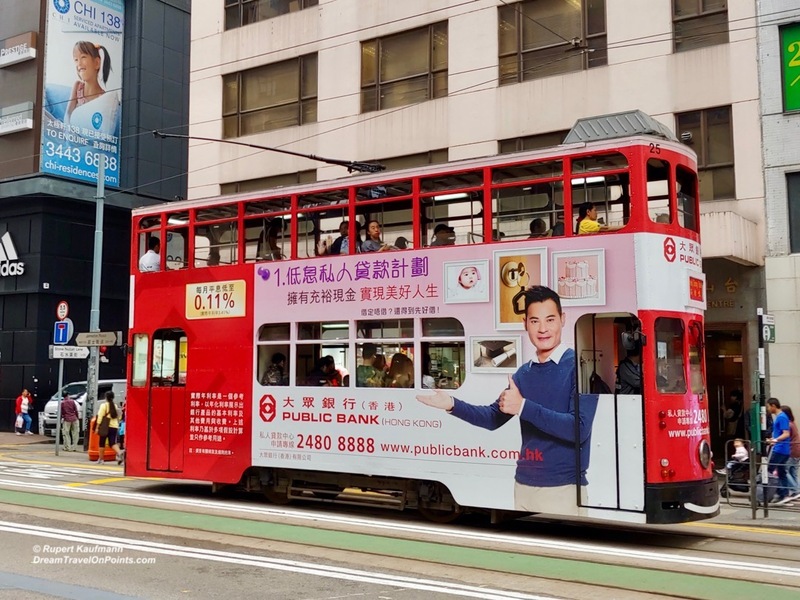 For many visitors from across Asia, Hong Kong is a prime shopping destination from famous brands to equally famous local markets, there is a lot to find at any budget. Al that shopping will make you hungry, and Hong Kong has delicious food all around you, from street food to fine dining. And my favorite dining spots take advantage of the great views of the city! Hong Kong also has one of the most developed cultural offerings, from American Broadway musicals to Chinese Opera and European Art Basel exhibits, you’ll be able to get your “culture fix” as well. At a recent contemporary art exhibit spanning 4 floors at the Conrad Hotel, you could not only look at the art, you could buy it right there! Not convinced – read more about why I keep coming back to Hong Kong! Where to stay: The big question is island or Kowloon? If you want to see the sights, soak up the city atmosphere and enjoy the nightlife, I’d recommend to stay on Hong Kong island. With many established restaurants as well as hip & trendy nightlife, you’ll be right in the middle of it. If you are a return visitor with a singular focus on shopping – or just want to save a little bit on your hotel – check out the slightly cheaper Kowloon side! You can find some of my favorite hotels in the table below. I do receive a small fee, if you decide to book through the link, at no cost to you – thank you for supporting my blog! What to do: Some of the best things do see and do in Hong Kong are (almost) free. You can see the beautiful harbor and skyline from the iconic StarFerry with million dollar views for less than a dollar – I take the ferry at least once on every trip to Hong Kong. It’ll take a little more time, money and effort to make the trip up to Victoria Peak in the tram – the lines are long, but the views from the top over the city are worth it. Other public transport that’s worth trying out are the old, open air double decker trams trundling along the island and the mid-level escalators – the only outdoor escalators I’ve ever seen! 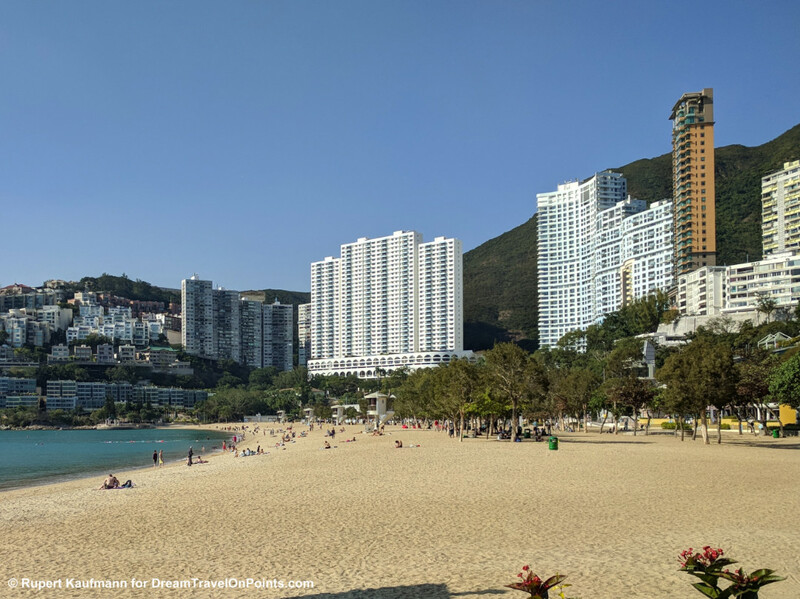 And if you have enough of the city’s hustle & bustle, take a trip to Repulse Bay for a relaxing day on the beach, with plenty of cafes and restaurants right on the beach! Where to eat: The food options around Hong Kong are truly endless, from tasty & cheap street food to 5-star miles at fine dining restaurants, but what impresses me the most are the countless, hole-in-the-wall, independent little restaurants you’ll find in Central, Wan Chai, Causeway or Sheung Wan. They offer one of the most interesting food scenes in Asia. A great example is the excellent Les Fil a Maman in a little alley in Central, offering fantastic food in a small restaurant with only a handful of tables overlooking a neighborhood park! How to get around: Hong Kong has great public transport, starting with the modern airport with connection all around the world. The fastest way to Kowloon or Hong Kong Island is with the airport express in under 30 minutes for HKD115 and with free shuttles to many hotels from the train stations. Once in the city center, you have lots of options with the excellent subway, plenty of buses and ferries criss-crossing the harbor. If you are staying for a few days, it’s worth getting the Octopus Card, so you can avoid the lines to buy single tickets. If those are too crowded for your taste, there are inexpensive ride-hailing services as well as the iconic red taxis everywhere! Rides around Hong Kong island are usually less than $10, reasonable considering the otherwise high prices. 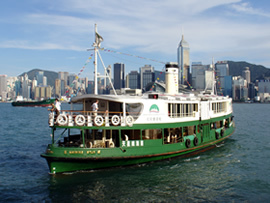 Want more details – read more about How to get around Hong Kong! Explore More: To get a “lay of the land” and see where all the hotels, restaurants and sights are, check out my map below and plan your visit to Hong Kong! Click on the box in the upper right corner for a full map! Where are you going to stay? What’s your number one thing to do? Or have questions – feel free to comment below and I’ll help with your trip!